PASADENA COURTHOUSE -- Facing the prospect of paying hundreds of dollars in restitution for an alleged crash for which she was never convicted, I appeared on my client's behalf and successfully defended her. 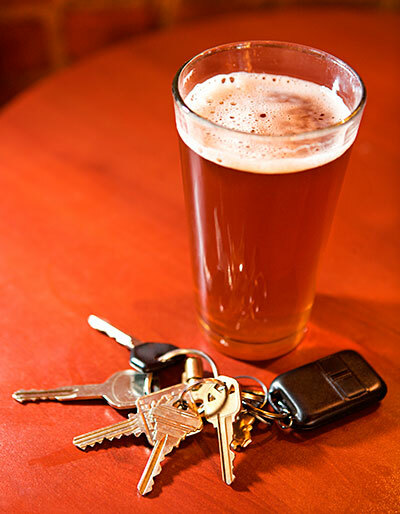 My client was originally charged with a hit and run, and driving under the influence of alcohol (DUI) with a high blood-alcohol content (BAC) enhancement – more than .15 – plus allegations that she had two prior DUI convictions within the last ten years. I negotiated with the prosecutor to remove the hit and run charge and the high BAC enhancement, and got the DUI treated as a second offense rather than a third DUI. Because there was an alleged crash involved, the prosecutor insisted on setting a restitution hearing, so that the other party could make my client pay for the damages to their vehicle. My client denies that any crash ever occurred, and the plea deal that she took does not include the hit and run. I successfully negated any restitution, saving my client hundreds of dollars due to a questionable eyewitness account. Rather than serve many months in jail, my client is enrolled in alcohol counseling courses and is now committed to her sobriety. As a part of my practice, I work to connect clients with the resources they need to overcome the issues underlying their arrests, so that they can move on in a productive manner. In this case, a fourth DUI would be a felony with serious jail time likely unavoidable, so my client realized the importance of committing to sobriety so that she can maintain her job and lifestyle. Saving her money at the restitution hearing was just one small part of an overall strategy to set her up for success in the future. She continues to attend alcohol counseling and 12-step meetings, while maintaining her stable job.